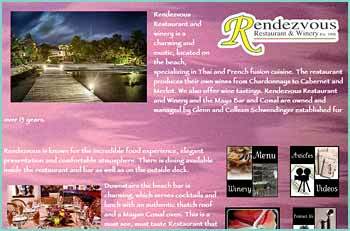 Rendezvous Restaurant and winery is a charming and exotic, located on the beach, specializing in Thai and French fusion cuisine. The restaurant produces their own wines from Chardonnays to Cabernet and Merlot. We also offer wine tastings. Rendezvous Restaurant and Winery and the Maya Bar and Comal are owned and managed by Glenn and Colleen Schwendinger established for over 13 years. 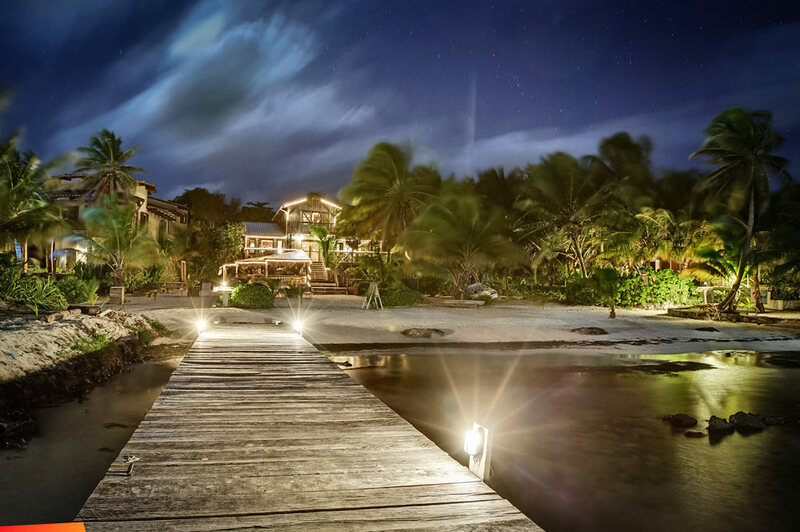 Rendezvous is known for the incredible food experience, elegant presentation and comfortable atmosphere. There is dining available inside the restaurant and bar as well as on the outside deck.